Here is a rundown of trash mobs you will encounter in Skalecaller Peak and things to look out for. Skeevers are pretty much a nuisance. Once you kill one, they will start shooting poison projectiles at you in a medium-sized radius. The damage is not really big so you it's not really taxing to heal through it. Make sure to run past those dead skeevers fast so you do not take any unnecessary damage. If they have a chance to live long enough they'll start casting a big snowstorm around them, make it your top priority to move out of it as fast as possible as the damage is very high. Ogre Elders should be your main focus when fighting packs with them. They will also toss around Ice Spikes, if you get caught in them you will get stunned and you need to break free to be able to move again. The Tank has to keep taunt on them as they have a very hard hitting heavy attack that can pretty much one-shot anyone that is not a tank. Your standard-issue ESO Gargoyles with a lot of health applying bleed etc, make sure to focus them as fast as possible. Make sure not to stand in front of them, if they wield their mighty stick they will push out a hard-hitting AoE cone that will hist most targets in front of them. Not very dangerous, but kill them fast as if they live long enough you will get caught in a Geisyr which you can not break free off. They also have poison AoE field around them that will snare players and apply DoT. Orzun the Foul-Smelling & Rinaerus the Rancid are the first boss to encounter in the Scalecaller Peak Dungeon. First rule: DO NOT STACK THE BOSSES, you will get an insane amount of damage otherwise. The ranged Ogre will always stand in the middle anyway but the tank still has to taunt him. Pull the melee Ogre somewhere around the edge of the area and kite him. The melee Bosses light attacks also shoot projectiles that turn into poison/disease AoE fields in a straight line, if you get hit they will apply a strong DoT on you, which you can cleanse or just heal through. Ice Spikes will spawn on the ground once the ranged Ogre starts casting a huge snowstorm that deals a lot of damage if you stand inside it. If you run into them you will get stunned and you need to break free in order to be able to move around again. When the snowstorm is about to end the melee ogre will launch some sort of ground AoE (Snow Tremor) towards all players. You can only survive this mechanic by walking into the ice spikes and stay “frozen”, they save you from the explosion. Once your “frozen” body explodes you will automatically break free and be able to move around again. The ranged Ogre also starts spawning big single ice spikes from the ground, when that happens you have to make sure to stand behind one of those spikes to not get one-shotted by the ranged Ogres “Huge Ice Ball Attack” after a short duration of him channelling the attack upon releasing it. You also have to interrupt the ranged Ogre from time to time, otherwise, he will keep spawning Skeevers, you will see a channelling effect on the ranged Ogreboss if that is the case. Make sure to kill both bosses more or less at the same time, if you kill the ranged Ogre too early then you will not get the ice spikes anymore to be able to survive the “explosion”. Doylemish Ironheart is the second boss of the Scalecaller Peak Dungeon. This boss hits really hard, your group tank will get a strong bleed on him, so he'll need a constnat, uninterrupted, healing. The most important mechanic in this fight is Boss health-based, so the faster you damage his health, the faster those “Laserballs” or I also like to call them “Pokeballs” will spawn. So don't push it too hard. Every 10% Pokeballs will spawn and attack players, you can not taunt them. Now if someone is too close to one of those balls you will be stoned and you have to be freed by one of your group members with the Synergy button. If a player is stoned for too long the Gargoyle boss will start channelling a Laser Eye attack which will one-shot the stoned player, you can interrupt this to cancel the bosses one-shot mechanic. Save your Ultimates for the later phases of the fight, so you can burn the boss down in the execute phase with Ultimates and execute abilities. Matriarch Aldis is the third boss in the Scalecaller Peak Dungeon. This boss is fairly easy if done correctly. However, the faster you damage the boss, the more damage you will receive due to the corrupt Leimenids. First off, the boss has quite a hard-hitting AoE ability where he stomps his foot into the ground, the AoE is mid-sized so you can actually easily avoid it by just moving out of it or block the damage. She will also channel an attack that will result in a small hole appearing causing ice spikes to come out and damage everyone. The tank has to make sure to stand on it to “block” the crevice. Every 10% of the bosses health a corrupt Leiminid will spawn, make sure to kill them as soon as they spawn, if there are too many of them all people might get caught in the “disease geysir” and receive a lot of damage. If on top of that also a hole where ice spikes come out spawns then people will die. From time to time the boss will also shout, which results in people getting “feared”, you can break free of this. If you have enough dps you can also just burn that boss down. Also be careful, you will receive damage if you stand in the ice water in this area. Concotor Mortieu is the fourth boss in the Scalecaller Peak Dungeon. Mortieu has a lot of health compared to most other bosses. The boss himself is not really dangerous. From time to time the Boss will poison the group and your screen might turn into a weird color, you have to keep going and just keep damage the boss or kill the adds that spawn. after some time the NPC Jorvuld will craft a potion and throw it in the middle, if you walk over it you will be cleansed from the poisoned effect from the boss. Once you are cleansed you receive some bonus effects like extra damage or increased ultimate regeneration. There are greenish grids placed over the whole place, sometimes poison waves will shoot out of them, the tank has then to stand on top of them to absorb the poison wave damage. If that is not done the damage will go to other group members and most likely kill them. The boss itself is an archer, so you have to make sure to bring a ranged taunt. Other than that make sure not to stand in his conal poison AoE and make sure to kill the adds. Zaan is the final boss in the Scalecaller Peak Dungeon. The non-Hardmode version of Zaan is fairly easy, there is really only one mechanics that can wipe the whole group. The tank has to make sure to keep the boss close to the statues, be careful as Zaan has a AoE shieldbash ability which kills all non-tank players, the radius is very small tho so its easy to avoid. Zaan also targets a Player at some point and will shoot fire waves, this attack goes on a random player and can be easily avoided if you run back and forth as the wave has a quite small size. Sometimes you will also see her channeling an attack where one player will get caught in a fire cage and the Zaan beam will appear. The tank or other players need to make sure to block this fire beam, if not then players will almost immediately die. Just be careful, even if you block and shield yourself the beam will kill also you if you take more than two hits in a row, make sure to swap with another player. If you drop the boss to 80% he will spawn two big Ice adds that you have to kill fast, if you are too slow the whole group gets stunned and dies. This will happen every 20%. After that Zaan will drop his shield to the ground somewhere in the area. The whole group needs to go stand in the indicated area to not get oneshot by the poison wave which covers the full area. After that one third of the area will get covered in poison, it is random. If you are too slow to move out of it you will instantly die. Make sure to learn where the edges of the poison areas are so you can easily sidestep them. From time to time Zaan will smash her sword to the ground and deal damage in a medium sized conal area in front of her. Boss charges up attack and an explosion happens where you are knocked down in case you got hit, you will not be able to break free. Fire beam will connect to one player and if nobody goes between the beam to “protect” the caged player, he will almost immediately be killed. Make sure to rotated that firebeam damage as it does a lot of damage. Zaan randomly targets a player, you will get a small indicator circle under you so you know when she targets you. Fire waves will come, they are avoidable if you step left or right. Make sure to avoid them as the damage you take is quite huge. At 80%, 60%, 40%, 20% two big ice adds will spawn. Make sure to kill them as fast as possible, the boss will not do anything during this phase. If they are not killed fast enough everyone will turn into frozen joghurt and die. After they are dead make sure to go to his shield that he drops to protect you from the poison wave. After the ice adds, the boss will get knocked down and loose her shield, then start praying at the three shrines. Now you have to make sure to stand in the shield circle to protect yourself from the poison wave. The Poison wave covers the full area so your only save spot is in the shield circle itself. After the poison wave is over, make sure to move out of the shield because Zaan will go pick up the shield again and deal aoe damage in that area. After the first part of the fight is over, random poison waves will cover one third of the area, if you get hit by them you instantly die, you can not mitigate the damage. make sure to stand close to the statue or stand on the edge of the three different areas so you can easily side step the poison wave. Zann is 1vXing all day every day. This hardmode is diffcult, be prepared to wipe a lot. Most mechanics stay the same in hardmode, but you will have a few additional things to look out for. Now you have two adds that are next to Zaan. The Ice Atronach snares you if you stand in the small ice AoEs that he places. Once you kill the Atronach ice spikes will spawn on the ground, you have to make sure to avoid them, because you need them later for when the poison AoE comes. The second add will always stand at the same spot and has a small disease AoE around her, make sure to not stand in it because you will receive a lot of damage. If you kill the corrupted Leiminid, it will spawn a disease geysir on the ground, make sure to avoid it, you will also need it later for the huge poison AoE after the big ice adds spawn. If you kill the Leiminid while she is stunned, no geysir will apear, she is weak to fire so when burning effect procs on her she will get stunned. Then you will also have a Laserball that will continue to shoot Laser AoE on the ground, if you stand in it you will get stoned and someone else has to break you free. 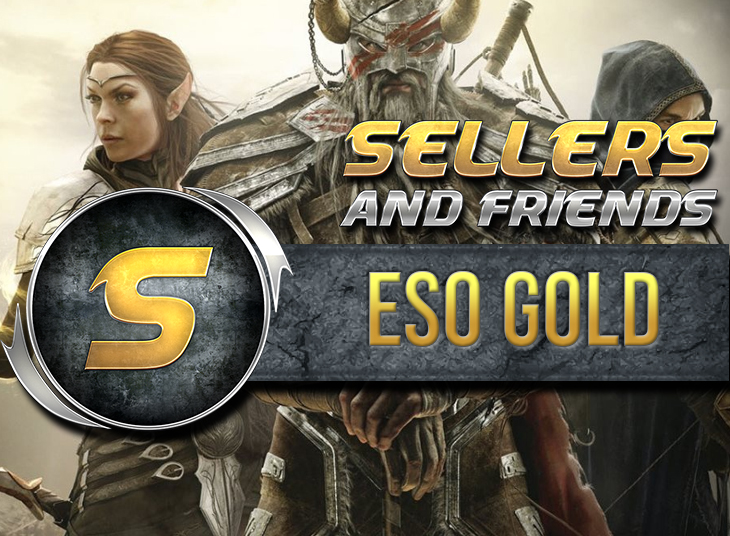 If you need to buy eso gold you can look for offers on our site. If all done correctly then nobody will die from the poison AoE that covers the whole area. After this there will be no new mechanics, you have to repeat this every 20% till the boss is dead. Most difficult thing here is that you do not use the ice spikes or the geysir too early, otherwise you can not protect yourself from the poison AoE that covers the whole area. I do recommend placing the boss close to the geysir and close to the statues, like you can see in the picture here. Boss charges up the attack and an explosion happens where you are knocked down in case you got hit, you will not be able to break free. Fire beam will connect to one player and if nobody goes between the beam to “protect” the caged player, he will almost immediately be killed. Make sure to rotated that firebeam damage as it does a lot of damage. At 80%, 60%, 40%, 20% three big ice adds will spawn. Make sure to kill them as fast as possible, the boss will not do anything during this phase. If they are not killed fast enough everyone will turn into ice and die. The Ice Atronach snares you if you stand in the small ice AoEs that he places. Once you kill the Atronach ice spikes will spawn on the ground, you have to make sure to avoid them, because you need them later for when the poison AoE comes. He also has a small conal attack in front of him that will knock you back if you do not block or avoid it, it does moderate damage. She will always stand at the same spot unless you decide to taunt her and stand behind the pillar, then the Leiminid will move, this way you could free up space and it is easier to control when you want to kill her. She has a small disease AoE around her, make sure to not stand in it because you will receive a lot of damage. If you kill the corrupted Leiminid, it will spawn a geysir on the ground, make sure to not stand in it, you will also need it later for the huge poison AoE after the big ice adds spawn. She is weak to fire so when burning effect procs on her she will get stunned. If you kill the Leiminid while she is stunned, no geysir will apear. So try to avoid fire damage when she is low health to not stun here before she dies. Laserball will be in a corner on a wall that will continue to shoot Laser AoE on the ground, if you stand in it you will get stoned and someone else has to break you free, this mechanic will repear during the fight even if someone already accidentally got stoned. After the ice adds, the boss will get knocked down and loose his shield, then start praying at the three shrines. The Poison wave covers the full area, your only save spots are the four spots. After the poison wave is over, make sure to move out of the shield because Zaan will go pick up the shield again and deal aoe damage in that area. During the Poison Wave that covers the full area, only one person can now go behind the shield. Everyone else has to go protect themselves in other ways. One player, preferably the healer can run to the shield circle to protect yourself from the poison wave. One player can run into the laser eye to “stone” himself and that will protect him from the poison wave. One Player can run into the ice spikes to protect him from the poison wave. If someone already walked into it by accident prior this phase there will be no ice spikes and one player is doomed to die. One player can run into the geysir and will be lifted up into the air to protect him from the poison wave. If someone already accidentally walked into the geysir, then there will be no geysir present and one player will die. Also note, if you kill the corrupted Leiminid while she is stunned, no geysir will appear.